Skolz(os): Thoughts on MN Vikings win vs. 49ers, and Upcoming Battle with The Packers. After five days of watching highlights, listening to pro football analysts, and coming up with my own opinions about the Minnesota Vikings week one performance against the 49ers: here are my thoughts for you to indulge. I hope you enjoy them. Beating the San Fransisco 49ers was a good week one win. If Kirk Cousins were to throw for 400 yards and three touchdowns, we would expect that from him every week and anything less would be a disappointment. Cousins is comfortable playing within himself, buying into the culture that Mike Zimmer has created. It is good to see the defense and offense make mistakes this early in the season, meaning that we have room to improve. If the Vikings came out and blew out the Niners this week, we would all be feeling sky high like Baltimore Ravens fans right now, when the reality is that they set the bar high for their hopes for the season. The fact is with that type of pandemonium in your belly from a week one blowout, the expectation and let down will hit you hard. The Ravens struggled against the Bengals as we saw them lose on Thursday Night Football. This was a good week one win for Mike Zimmer and the Minnesota Vikings. Now, on to Lambeau. Be patient with the offensive line and Dalvin Cook. The Vikings’ O-line is like a game of Tetris right now because they are trying to find the right fit to protect Cousins. On another note, Dalvin Cook will get better from the line of scrimmage as our line becomes more of a synergized moving wall. The Vikes need to use Latavius Murray more to give Cook rest. 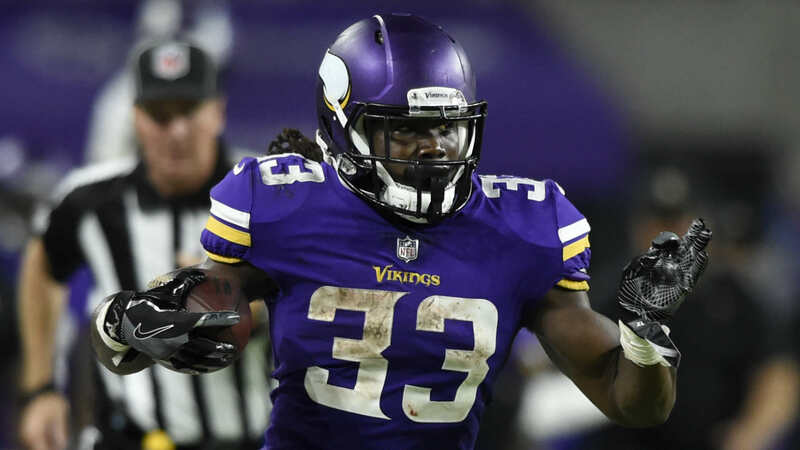 They cannot overuse Dalvin Cook due to his injury from last year, and because of the talent that Murray brings to the table. The NFL is a two running back league, and we need to use Latavius Murray in the situations that we are paying him for. As mentioned before, Kirk Cousins played within himself, and we need to accept that. We don’t need him to do what he did in Washington every Sunday. He was under a lot of pressure to throw 4,000 yards a year for Washington because of how incomplete his roster was, and he only had one good offensive coordinator during his tenure. As long as we keep the chains moving, do not fumble, and throw interceptions, we will continue to win. Right now, Cousins needs to establish his leadership role before he becomes the messiah that we make him out to be. Not everything will happen overnight with our big time QB investment. Next, the Vikes need to eliminate minor defensive mistakes. There were blown coverages, and a few missed tackles but that will correct itself over time, and we will see this against the Packers. Sheldon Richardson is quite the pleasant surprise, and it will be nice to see what he brings to the table because there is a new cohesiveness with the defensive line that is blooming slowly beneath our eyes. It will be exciting to see how this will blossom over the season. Treadwell needs to play better. The first round draft pick needs to become a primary third down and red zone threat. I’d love to see Thielen, Diggs, and Treadwell all obtain each a thousand receiving yards within the next few years. So, why not make it happen this year? My thoughts about the next matchup against Green Bay. Aaron Rodgers is in jeopardy with his health, career, and folklore. Despite how severe or minor his injury is, his ego is getting in the way of him doing what is right for himself and the Green Bay Packers. Rodgers has a strong vengeance to win against the Vikings due to the Anthony Barr incident last year. This may be a huge mistake for him to play. If Green Bay were to play Miami last week, he wouldn’t have come out and played in the second half. Since they are playing another divisional game against the Vikings, he will play no matter what. Mike Huges and Jayron Kearse will be a big factor because Rodgers will be throwing quick, early, and often. Since Hughes will be lined up on the outside and Kearse will be playing nickel corner, they will be defending short passes more often. But who knows, this may not be part of our defensive game plan. They can create a significant impact on the game if they can make some plays. These are my picks for our X-factors on defense. Diggs needs a breakout money making game. Show us what you’re worth. Cousins needs to protect the football, throw downfield, and take advantage of the inexperienced young defensive back core that Green Bay has. WHEN the Vikes win on Sunday, it will be the biggest win of Cousins career on a big stage game. He has never proven that he can win a big game dating back to college, and this is the start that he needs for the Vikings to make it to the promise land this year. Win this game, and build momentum. The Vikes need to make a statement to the NFC North and Packer fans. I would love to hear Packer fans silenced. In fact, I want Rodgers to be 100% healthy, so there is no excuse towards why they lost. After hearing analysts express their preseason concerns about the strength of the Vikings’ schedule, new coordinator, new quarterback, and the difficulty of our first six games, the Vikings need to come out and make a statement on Sunday. Vikings 28 – Packers 17.